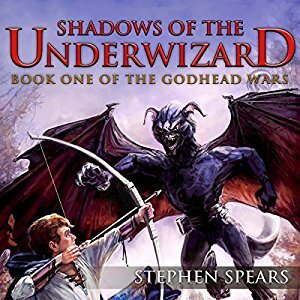 Greetings readers (and possible listeners), I’m pleased to announce that Book One of The Godhead Wars series, Shadows of the Underwizard, is now available as an audiobook from Audible! You may have already read it, but this a great chance to re-visit the series or tell someone you know about it. If nothing else, check out the sample to hear the narrator–he’s really good! It’s been a while. This mainly due to the fact that, as I tend to do shortly after I release a new book, I have a new baby and a new day job. For the record, I do not recommend starting a new career immediately after having a baby. I’ve done it twice, and it was rough both times. Fortunately, it’s turning out a lot better this time around. Anyway, while deciding what to do marketing-wise with my books, I decided to give Kindle Unlimited a try. So, for the time being, The Godhead Wars series (Shadows of the Underwizard and Relics of the Casted Age, so far), are exclusively available on Amazon, per the terms of the program. (This also means that Shadows is no longer permafree.) This will last for a minimum of 90 days, but could go on longer depending on how things go. I apologize to the (very) few readers I had on other platforms, but I figured now was the time to try it out before I risked losing reviews and/or ranking in the other stores. Writing-wise, I’m working on a several things at the moment and hope to be able to share some of them with you sooner than later. Shadows of the Underwizard ebook now free almost everywhere! Hello dear readers. 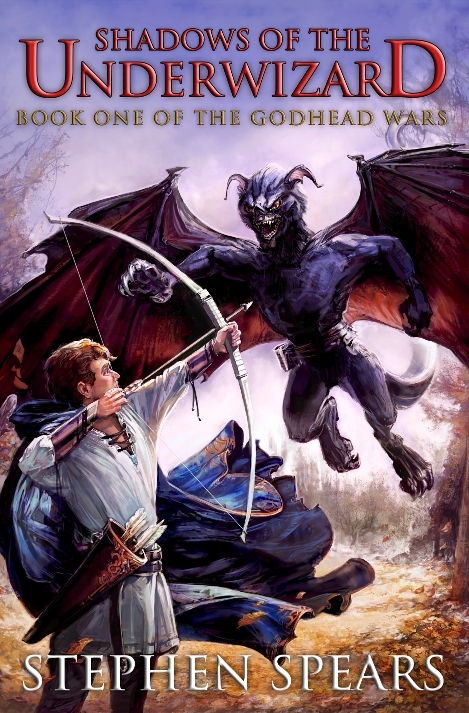 The ebook version of Shadows of the Underwizard is now forever free (yes, a low low cost $0.00) at most retailers. The only exception currently are the non-US Amazon sites which, for some reason, do not automatically price match to free. 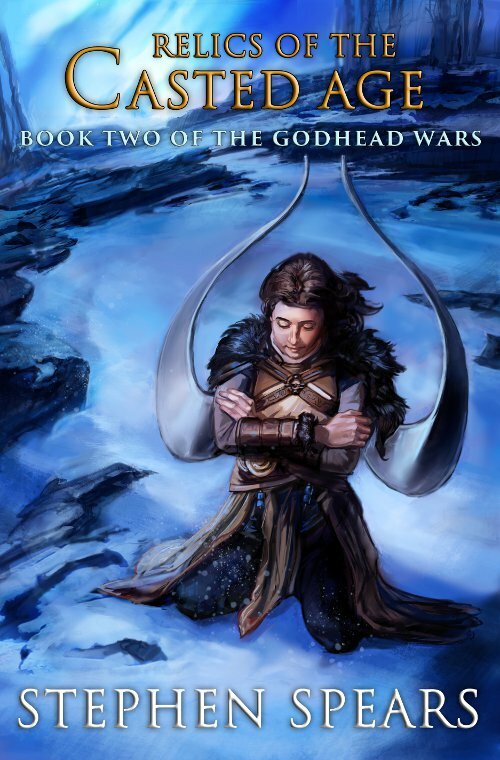 I hope this will encourage new readers to give The Godhead Wars series a shot, and make it easier to get your fantasy-reading friends on board too. Enjoy! The second installment of The Godhead Wars series, Relics of the Casted Age, is now available! The book’s page will be updated with other retailer links as they become available. Thanks for your support! Just checking in. Yes, I’m still alive. Big updates coming very soon! The good news is that first draft is sitting at 86,000 words, so not too far from the 97,000 of book one. It’s obvious the sequel will be longer, though; I’m thinking around 120,000 words, so significantly longer than the first book but not a doorstopper by any means. And part of the reason I write pretty slow-ish is that I tend to stop a lot and think things through before plowing ahead to satisfy a word count–so I generally don’t have any massive re-writes when it comes time to edit. Also, editing is something I can do in smaller chunks, whereas the actual writing I tend to need a few hours to really get into the flow of the story; so what I’m saying is that once I can manage the first draft, I think things will pick up, since that sort of task is actually easier to fit into my life right now. And I don’t know why I’m explaining myself since nobody really visits here at this point, but I like to make sure my many failings as a human being are a part of the public record. You know, for posterity. Check out the new page explaining my approach to The Godhead Wars series, also now linked to in the menu above. And generally, expect a revamp of the site in the coming months–time to get my WordPress on! I’ve joined with some other epic fantasy writers for a big ol’ sale from May 25-31 because why not? Check out all the discounted books at the Epic Fantasy Sale Party. Included is the Kindle version of Shadows of the Underwizard for just $1.99! In my latest excuse for not having finished the sequel yet, I have a newborn at home. 🙂 That’s pretty much the trump card of excuses, right? Well, yeah, we have a new baby who is now about a month old. However, I think things are settling into enough of a routine that I can ramp up the writing again (and NaNoWriMo was not even a consideration this year). From a more encouraging standpoint, I am roughly halfway through the first draft, and I tend to pick up momentum the closer I get to the conclusion.